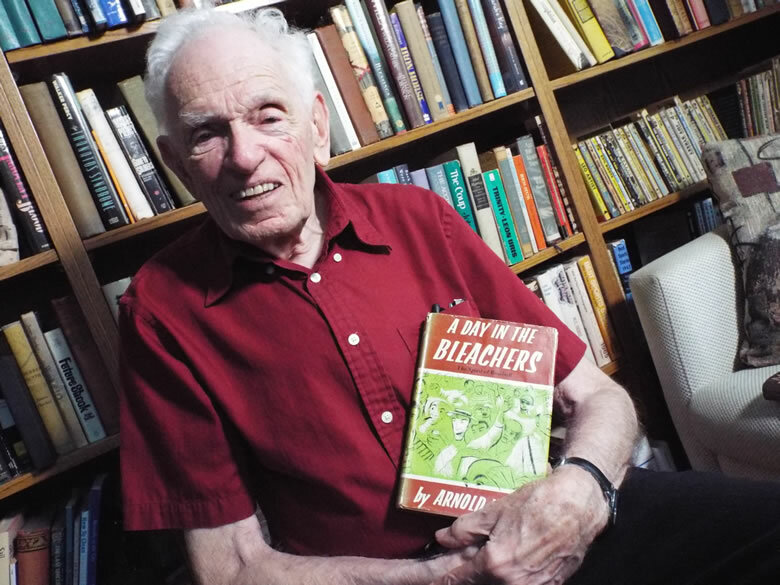 After that, Jon was inspired to read Arnold’s well-known book “A Day in the Bleachers,” which won the prestigious Sidney Hillman journalism prize. The story details the first game in the 1954 World Series between the New York Giants and Cleveland Indians; some baseball enthusiasts believe that this was when fans saw the most famous catch in baseball history by Willie Mays. Now 93 years old, local resident Arnold has written 27 books and more than 500 magazine articles. 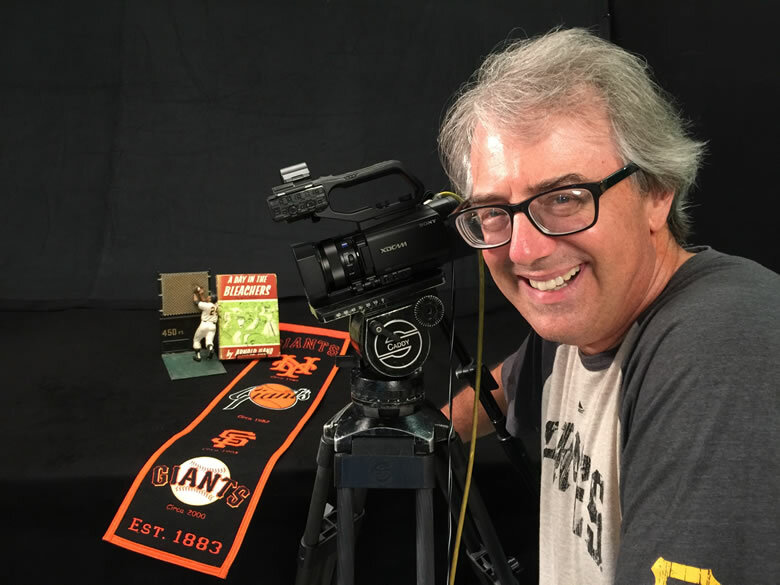 But there’s more to his story than a longtime career as a prolific author and sports journalist, and Jon captures that in his new documentary, “Hano! A Century in the Bleachers.” It premiered in October at seven-degrees. Since debuting in town, “Hano! A Century in the Bleachers” has been screened in San Francisco, New York City and at various baseball-related events throughout the country. Copies of it are available online at hanodoc.com. The director later came to Laguna Beach and spoke with Arnold for three hours during the initial interview. “I told him, ‘I don’t even know what I’m going to do with this material. I just know it’s important to do,’ ” Jon says. After watching the footage, he returned for another lengthy conversation with Arnold and Bonnie, the writer’s wife of more than six decades. These interviews with Arnold provide the narration and structure for the documentary. “The typewriter is my machine of livelihood,” Arnold says in the opening. He also talks about meeting Babe Ruth, John F. Kennedy and John Wayne. Vivid family photos, archival photos and drawings by various artists help bring Arnold’s words to life, letting viewers know that the film is about much more than the love of baseball. The first section focuses on Arnold’s childhood in New York, where he began his writing career as a reporter for a paper that he made with his brother and a neighborhood friend. Arnold’s life as an activist is also rooted in his childhood, when he learned an important principle at an early age. “My father brought my brother and me outside and pointed to the road and asked us where it came from,” Arnold recalls. His father went on to explain that the government provided it, and they had a responsibility to repay such acts, referring to this as “the social contract.” “He taught us that we have to give back,” Arnold says. After the attack on Pearl Harbor in 1941, Arnold honored “the social contract” and enrolled in the Army. The third section of the documentary focuses on social justice. In the early 1960s, sportswriters began tackling the way African Americans and Latinos were treated in sports. Arnold was concerned about the fines Latino baseball players were receiving for playing in off-season games in their native countries, and as a result, he helped Dominican player Felipe Alou write “Latin American Ballplayers Need a Bill of Rights” for Sport magazine. The film includes interviews with Felipe, as well as players Orlando Cepeda and Roberto Clemente, about the impact of the article on the baseball culture. 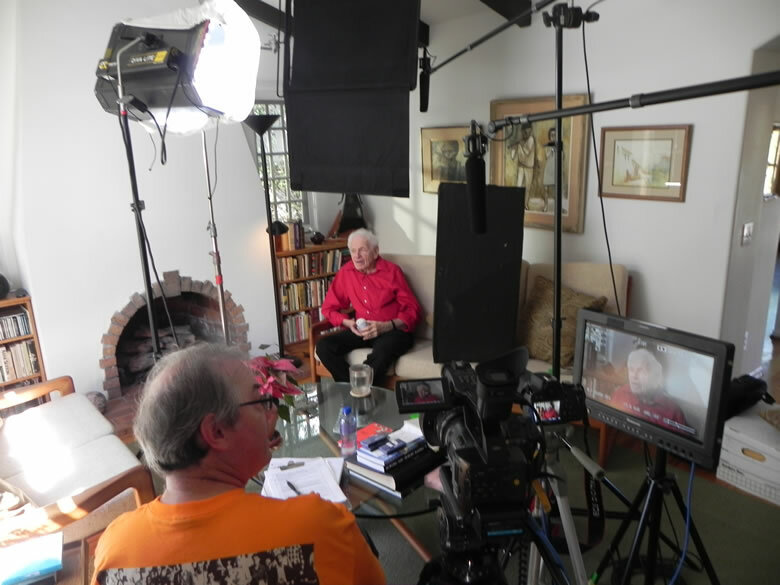 Interviews with Arnold Hano provide the film’s narration. But Arnold’s passions go beyond writing, sports and activism. At home, he’s devoted to Bonnie. Councilwoman Toni Iseman, who is friends with the couple, introduces the final part of the film and refers to them as “Barnold.” Arnold describes Bonnie as his soul mate, and his love for her gives the film its heart. In 1955, the Hano family moved from New York to Laguna Beach to raise their children. Once again honoring “the social contract,” Arnold and Bonnie became active in local politics. Among their achievements were stopping the campaign to build high-rise hotels along the coastline from Broadway Street to Bluebird Canyon Drive, and helping to crack the Jim Crow manifestation that did not permit blacks to get haircuts in Laguna’s barbershops. The film closes with Arnold throwing screwballs, his favorite pitch, in Bluebird Park on his 93rd birthday. “I love life,” Arnold says, and it is easy to believe him. “Hano! A Century in the Bleachers” is not only educational and entertaining, but also inspirational. What the world needs now are more Arnold Hanos: writers who understand that the power of the pen is truly mightier than the sword.